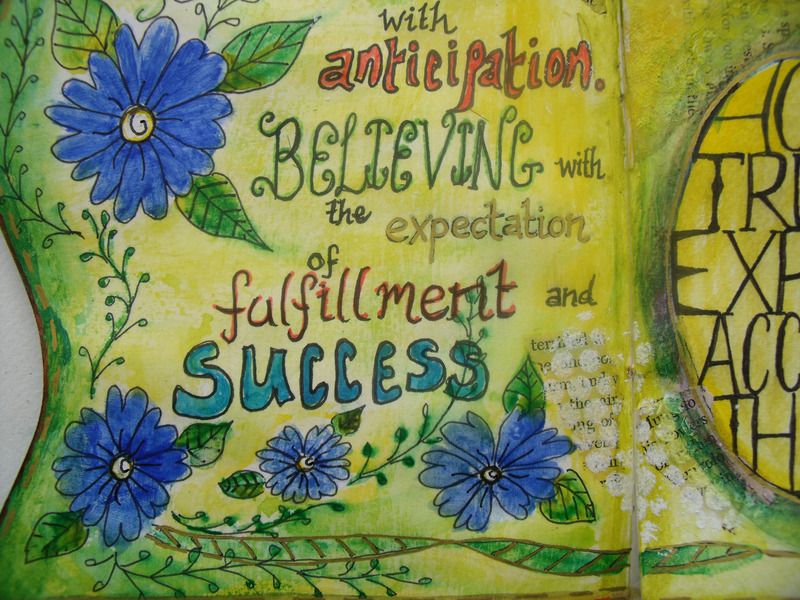 This entry was posted in Art Journal, Creations From My Craft Room, Creativity, Doodling and tagged acrylic paint, Hansa Yellow, Orlando the Marmalade Cat, Valerie Sjodin by thecontentedcrafter. Bookmark the permalink. She is among my favourite poets – and isn’t that just the grandest word! I think it is having a renaissance – several people have either written it in comments or used in conversation just lately – I love to think we are getting back to using descriptive language again! It’s interesting reading about the process and the journey, Pauline. I love these journal pages. I love both pages and originally just assumed, since I look before I read, that they were a series. I’m personally partial to the second one because it feels like a cottage garden. The white bubble wrap is genius, and reminds me of bits of honeycomb. The blue flowers remind me of my Bachelor Buttons, still growing strong in the garden. The curvy pages emulate the natural order of things. Nature eschews straight lines. 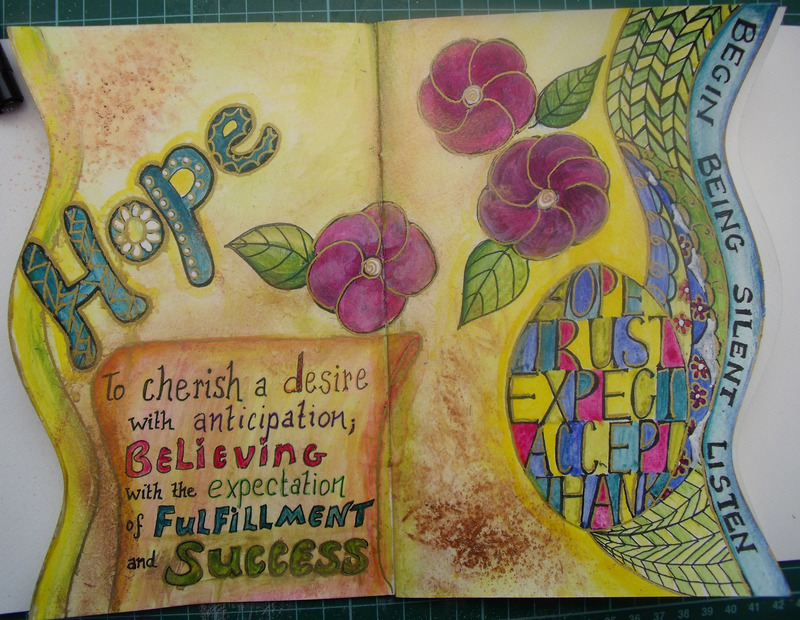 I think you could photocopy part of this journal page on to watercolor paper and make a boxed set of gift cards. It has been fascinating reading all the different comments for this post – so may different opinions – and also interesting to hear how you read posts Alys 🙂 I thought the bubble wrap looked like honeycomb too – it works so well with gesso, it has become one of my favourite doodly things to do on paintings. Your last suggestion is worthy of a prize! Again, something that never occurred to me – I’m so pedestrian! I’m going to have to crank the printer up and see what I can do…. I love reading everyone’s comments, too. All so unique. I keep meaning to look up ‘gesso.’ I’ve heard others refer to it as well, but I don’t know what it is. Please let me know if you print on watercolor paper. I’ve been doing that here and there this year and really enjoy it. I have fun printing on vellum from time to time too, but have learned to let it sit on the printer because it takes time to dry. Gesso is one of those handy-dandy things to have whether you work on canvas or paper. 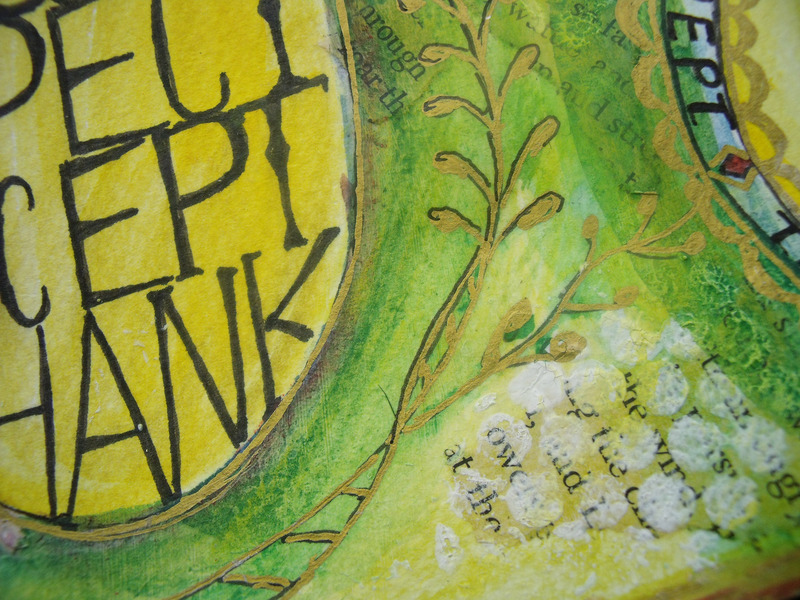 Primarily it is used as a kind of undercoat – stops paints, sprays etc soaking into and through journal pages for instance. Also quite good if you want a slightly raised, opaque form when using templates and the like. Comes in white or black – can be coloured with acrylic paint if required. Used to be made of chalk powder in the old days – don’t think that is what is used now though. Its the stuff that most of your ready made canvases are coated with so that you can start painting immediately. Has various price points and I always buy whats on special. Can be thickened if required or thinned with water….. ‘Nuff info?? Aww, thank you Christi! Such encouraging feedback! And yes, don’t over think it – I use torn book pages to get past the empty white space syndrome and to add depth and texture to the background – otherwise it gets a bit flat and uninteresting. When I do a canvas I find text that holds a message compatible to the theme I am painting, so that even though you can’t read it, subliminally it helps hold the work together. I like the colours used in both Pauline and the curving edge of the pages in the journal are unique and interesting and lend to a dream flow of things. I also liked the green and yellow Chevron ribbon on the right side of your first work. Chevrons are so hip right now. I do like seeing the bits of words from under your artwork too. I have to remember to try that. 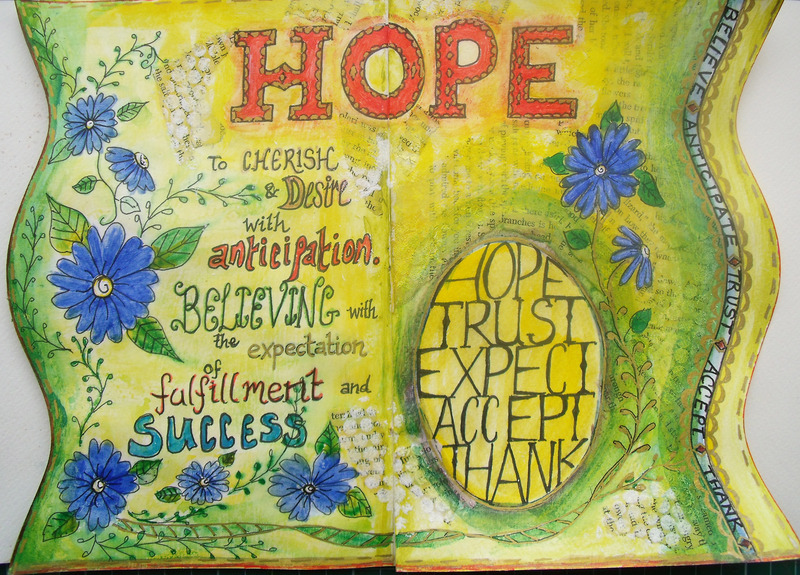 I so love the meaning of hope! I like the second one more- the flowers add more to it. I just noticed the words on the side…believe, anticipate, trust, accept and thank. Again, thanks for sharing your talent with us. You don’t need to wonder when you’ll become an artiste because you already are! Yes, I like the second version better too, I think the first was your test drive. Now that you got the concept and principles, you made it your own and voilà – the second one seems more of a representative of you. And it is lovely. Not that the first isn’t lovely either, but there is an obvious maturation in the latter. I like the bubble-wrap effect on the page, its a nice filler. And I cant wait to see how much more you evolve with this passion and make it truly your own. Now that is a helpful critique – thank you so much for it 🙂 I love your faith in me too! I woke this morning feeling excited to have another try …..